Sometimes truly happy events occur in the life of a writer/author/publisher who is posting articles on a blog/website. The writer usually hopes to gain audience share, possibly ultimately selling more books or other “products,” such as paid talks and consulting. Such an event transpired for me in September-October of 2018, regarding a single article. Each year I look at this particular perennial article, freshen it up, and emphasize it to my audience on my website and in social media about September 1. That article has a two-month shelf life of popularity, as you will see. It is one of the 500+ articles on my website at Foster Travel. I had modest expectations for this article on September 1. I suspected that, based on past recent years, I would get perhaps 400 new reads of this article in the two-month period. But I actually got 7,209 reads. So, what happened? Why did this article become suddenly relatively popular? For the first time, I put careful attention into improving the Search Engine Optimization for this article. I now use a 12-point checklist to review SEO for all my articles, as you will see below. The article is not something earth-shaking. It is about the simple joy of going with your family to a pumpkin patch on a living farm in the Bay Area of California. It describes taking a hayride, learning about agriculture, and getting the pumpkin for your child. This is a typical content element on my website and in my various travel books on California. The article gets almost all of its reads each year in September and October, as might be expected. You can see the article here: The October Pumpkin Patch at Ardenwood Park/Perry Farms, at Fremont in the San Francisco Bay Area. There are mystical unknowns regarding why some articles become highly popular. For example, the USA was going through a stressful political process in this period, and perhaps some folks were taking a nostalgia break and searching “pumpkin patch” and “Halloween” and “hayrides.” Who knows? What is known for certain is that I dramatically improved the SEO of this article just before September 1. It’s possible, as you read this, that you are saying: SEO experts are not going to teach me anything. I am a writer. I am a successful writer. I have nothing to learn. Hey, I’ve been published in the New York Times, don’t tell me how to write. Hey, I have a dozen books on my Amazon Author Page. What could you possibly teach me? Hey, I have my graduate degree from Stanford in Literature, and I love James Joyce and William Faulkner, and I will write how I want to write, and don’t stop me. It is understandable that you may take these positions. Of course, the result might be that you will sink into proud oblivion, with no readers. However, you will have wrapped yourself in a righteous cloth of independence, confident that no one altered your writing path. I might have taken these positions, but perhaps that would have been short-sighted. Who are your readers today? A lot of people are language learners, especially in the global audience, and possibly in our own USA. More convoluted literary strategies may not work if you want to reach a large audience. The verbal and linguistic skills that you possess may be way above what your audience can absorb. Consider also how verbal forms of communication are changing. It might be instructive to get a transcript of just what is said, in words, on an ABC Nightly News with David Muir, for example. This is the stuff of SEO. Search Engine Optimization was something of a mystery to me until 2017. In that year, my website design person, Jeffrey Samorano, recommended that we go with the SEO plug-in Yoast on my website transformation of Foster Travel. Yoast has about 8.5 million installations of its SEO plug-in for WordPress websites. I started with their free version. Later I bought the premium yearly upgrade, partly so I could ask them questions and get live-person answers. Yoast was founded by a Dutch guy, named Joost. He chose the more phonetically-recognizable spelling of his name for his company. He and a small group of associates in the Netherlands guide the plug-in. Yoast functions as an ecosystem of SEO knowledge, with plenty of free articles on improving SEO on your website. They are a little too eager at presenting me with advice, sending something every couple of days. SEO is not something inherently interesting in itself to me. SEO, for me, is a means to get to an end, meaning creation of a larger audience. My content, mainly travel writing/photography, my literary writings, and my commentaries on publishing, is my main interest. So, what did I learn from Yoast and others knowledgeable about SEO to improve my articles? Below are my dozen succinct tips. Some are built into the coaching structure associated with each post in the Yoast system. You can see them at work in the Pumpkin Patch article indicated above. Keyword or key phrase – Select a keyword or key phrase and put it in the title and in the first paragraph. In the article under consideration, my keyword or key phrase choice was “pumpkin patch.” Have the keyword appear a couple more times in the article, such as midway and near the end. Verb choice – Make your verbs active rather than passive. Sentence length – Keep most sentences shorter rather than longer. Paragraph length – Keep paragraphs to a relatively short length. Headings – Insert a header, meaning an H1 or H2 in the WordPress system, every 300 words or less. Transition words – Put in transition words in a lot of your sentences. This helps a reader puzzle forth in your post and see the logical progression. Yoast’s Transition Words with Example Sentences can help. Print out the list. Some transition word types and examples are Cause and Effect (therefore, as a result, consequently), Emphasis (above all, most importantly, certainly), and Enumeration (firstly/secondly, further, moreover, and in addition). “Snippet” preview – Edit and save the “snippet” that Google will pick up about your post. Make the snippet succinct, yet complete. The Yoast structure allows a place for this edit and save. Categories – Choose some Categories for posts in your blog structure and assign the post accordingly to its categories. Featured images – Choose a Featured Image photo for your post, upload it to your WordPress photo Library, and insert it properly in your post. This will then appear correctly as an illustration in the “preview” when you announce the post in social media, such as Facebook. Featured image fields – After you upload the Featured Image photo to your WordPress photo library, but before you put it into your post, be sure that it has a descriptive phrase in the Caption, Alt Txt, and Description fields. The Alt Txt phrase for the photo will allow a blind viewer or a non-visual search tool to “see” and better understand/classify what the photo is about. Related articles – Put into each post or below it a couple of cross references to related articles on your blog. If you improve your posts on your blog with these SEO tips, you will likely receive more organic search results from Google. How Google manages the algorithms to distribute its search “gifts” to various websites will likely remain an ever-changing mystery. Your results may not be as dramatic as my “Pumpkin Patch” example. But you will probably see some incremental improvement in traffic, as I am seeing in the articles that I have now re-done with better SEO. Incremental improvement in traffic will cheer you on and likely help you to sell more books and services. Photo: BigStockPhoto. Amazon link contains affiliate code. Hi! 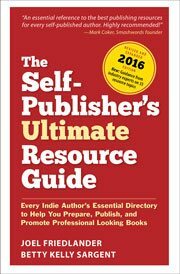 You’ve put into your article a few really useful tips for every publisher. However, making website/article visible and often-clicked requires more engagement. It’s important to take care of title tags and meta-descriptions, finding the best keywords, etc. Thanks Paulina for these helpful details. A book without a reader has no purpose. I must say you’ve added some critical marketing ideas for book writers. Yoast is helping many people to optimize their websites for better online visibility. I loved your idea of adding transition words. Thank you, Thomas. Learning from Yoast about that Transition Word concept has been helpful to me. I always have beside me a printout of their Transition Words cheat sheet whenever I do a new post. I work it until I have at least 20% of my sentences with a transition word. This seems to help more readers follow the progressing concepts in the post. I am attracting more readers. Many of my posts later become chapters in my books. Thanks, Laura. I’m happy you like the article. Please write we your request to lee@fostertravel.com. We will work out something after the 30-day-exclusive period that I have granted to Joel Friedlander for his site. Thank you very much for this valuable post. I will be looking into Yoast to see how I can use it on my WordPress site. Thanks Vivienne. Yes, seem to be an entire ecosystem of ongoing helpful information. The strategies for digital marketing you have mentioned in this article are really very helpful and good. All strategies are equally important. You have covered all the concepts and your answers are also easy to understand. Many thanks for this share. Thank you. I am pleased that this was useful to you. Thanks Lee and apologies for attributing the article to Joel. Holiday-brain still in effect! For anyone looking at SEO strategies beyond a simple plugin I would recommend checking out a service like Moz. Expensive but they have a free trial that’s worth checking out. Yoast is great for non-fiction. But if you’re posting a fiction serial, it doesn’t work as well. You can’t use individual keywords for each post because no one is going to search what so-and-so did to so-and-so, and using the same keywords for different posts is problematic. Sentence structure is harder to make work in a fictional work. Don’t get me wrong – I love Yoast and do my best, but it’s not geared for what I’m writing. I’m seriously considering coughing up the bucks for a few months just so that I can ask how to make what I’m doing work. Sigh. Thanks Anne. You make a good point that the fiction writer will have other needs. Lee, I love this article and will feature it in my publicity tips that I will email this Saturday. Thank you for emailing me and sending me the link. Bloggers, do what Lee just did. Send a link to your blog post to ezine editors like me who are always looking for relevant content. One other SEO tip. When people email you with a question and you don’t recognize their name, ask, “How do you know about me?” If they say they found you after googling, ask what phrase they typed in. This will help you understand words and phrases people use to find you. You can then use those same words in articles, video titles, etc. Joan, thanks for this excellent tip on following back with people on “how they found you.” That is good advice on what words and phrases are working to get to your audience. For folks reading this who don’t know Joan Stewart, I recommend that you Google her “Joan Stewart Publicity Hound” and sign up for her free weekly newsletter on publicity. I met Joan a couple of years ago when she came out to CA to talk to our local publishing group called Bay Area Independent Publishers Association. I signed up for her brief weekly newsletter and have always found it interesting. She concentrates on three or four paragraph-long actionable items each week that could be helpful if you want to promote or publicize just about anything. Thanks for the advice Joan…and to both of you for sharing information like this! I’ve bookmarked it too, Lee, and my colleagues here really like it. I like the fact that there’s a positive angle in that in the end you’re making your writing accessible to more people. That’s a nice way to think about it. Thanks, Tyler. You have a good way of expressing the essence of good SEO–“making your writing accessible to more people.” That’s a worthy goal. For those of you who don’t know Tyler, he has an impressive career editing major travel trade magazines. Thanks, Brenda. I’ve found Yoast to be a helpful ecosystem with lots of advice to get better Google Search results. Thank you for this. Very helpful, and it comes at the perfect time for me. I’ll be using the checklist. Thank you Victoria. We can all improve our writing incrementally and build our audiences. Great article Lee. I have used Yoast (free version) the past 2 years or so and it really does help with SEO and getting additional traffic to my site. The biggest issue I have is not being a blogger type and am, therefore, beginning to search for guest bloggers so I can have a fresh stream of steady content while I focus on what I am best at and most profitable doing. The issue I have run into is that most of the guest bloggers I have talked with know nothing of SEO and that makes their posts less than stellar in terms of driving traffic. I don’t usually care to edit their work for them, but it seems pointless to post content that may be helpful and informative, it lacks the ability to drive traffic to my site. Any thoughts? William, perhaps copy my 12 tips and send them to your prospective guest bloggers. Maybe stress to them that better writing will make them look better. You may have to commit to a little editing. Thanks Lee. I will do just that. Hopefully it will help improve my guest bloggers own sites. And, I’m okay with doing the editing, I just don’t like changing other’s content if I can help it. I guess full disclosure is best! Lee, it’s great to see your post here. You described Yoast’s plug-in well. I use H3 subheads but from now on I’ll use H2. I always use my keyword phrase in the Alt Text of an image but I didn’t realize that the caption was important to fill out too. I don’t like writing captions for photos. I feel that they add “clutter” to the image. I know that I have to get better at transition words and including links to some of my past posts. Thanks for the tips and I hope to see around sometime. Thanks, Frances. I think it is wise to put something, nothing elaborate, in all three fields (Caption, Alt Txt, and Description). I put the same succinct phrase in all three. Later this year I hope to do some posts for The Book Designer on photography. One important issue is that Google Search can turn up your photos if there are words in them that Google Search can find. Maybe you could sell your photos. This could be the start of Caballo Stock Photography. Great article Joel. Only one minor concern and that’s using more than one H1 per article. There’s some debate about it but to be safe I would advise sticking with using H1 for the article title heading and using multiple H2’s as content headings within the article. Thanks, Liam. I will study this header size issue further and make a reply here. I will ask Yoast their view on this. Appreciate the tip. Liam, your suggestion is exactly what my SEO expert recommends. One H1 tag per blog post. Many thanks to Liam and Joan who made a helpful suggestion on best practices on my SEO article. Their comment that headers in the article should be H2 (not H1) appears to me to be best practice, after talking this over with Yoast and others. It appears that the default H1 on my website http://www.fostertravel.com, using the theme Newspaper and the plugin Yoast for SEO, is that the title automatically generates as an H1 header. And it appears that one H1 is the right number for a post. So, in the body text, it is best to use H2, and if there are sub sub heads, use H3. Up until recently I wasn’t even using headers, just boldface. With more than 500 articles on my website, I have a lot to catch up on. This is a good example of how our collective knowledges can help each other. Thank you Liam and Joan for your guiding tip. Glad to help, Lee. Those sub-heads aren’t useful only because you’ve assigned them an H2 tag for SEO. They serve as guideposts for scanners like me who don’t have time to read the entire article. We’re looking for visual clues that tell us why we should keep scanning–or stop scanning and start reading every word. Too many articles are giant blobs of gray which make readers’ eyes glaze over. Well expressed, Joan. Thank you. You might be interested to know that on this blog, we use the H3 and H4 tags for headlines. For instance, “The Case Study of the Pumpkin Patch Article” above is H3.